Formerly a Victorian pharmacy, The Winery’s soaring stacks of original wooden shelves now host gleaming bottles of Burgundy and Claret instead of dusty bottles of potions and pick-me-ups, not to mention a winding vine that snakes its way around the shop. The wines - all of which are personally sourced by the owner – come mainly from small producers and can’t be found anywhere else in Britain, making this place a bit of a gem. Painted a glossy green it’s hard to walk past without venturing inside. Combine a trip with one of their regular wine-tasting evenings. 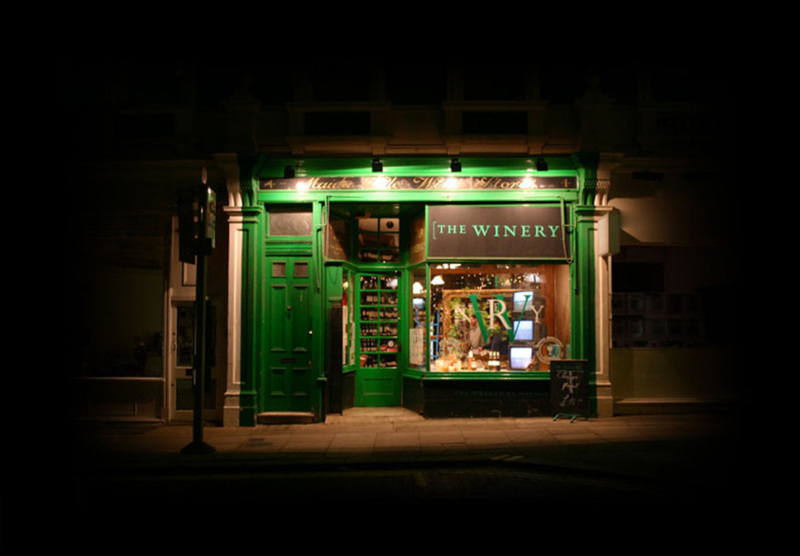 What are the best dining options near The Winery London? The Winery gyms, sporting activities, health & beauty and fitness. The best pubs near London The Winery. The Winery clubs, bars, cabaret nights, casinos and interesting nightlife. Where to have your meeting, conference, exhibition, private dining or training course near The Winery. From cheap budget hotels to luxury 5 star suites see our special offers for The Winery hotels, including Europa House Apartments London from 54% off.